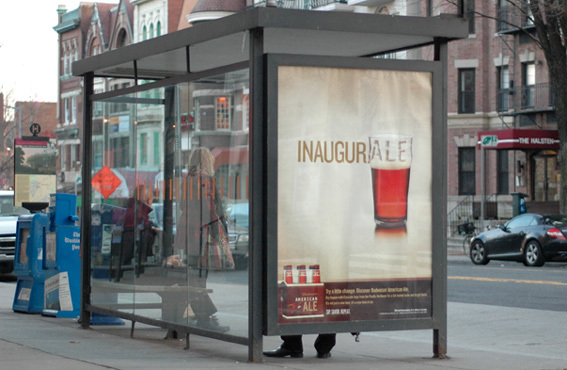 Jan. 15, 2009--A sign on a bus shelter in Adams Morgan promotes Budweiser American Ale. The sign states, "Try a little change. Discover Budweiser America Ale."